Halloween is fast approaching, but if you're still putting the finishing touches on your perfect costume (or haven't even started thinking about it), you're in luck. A few online retailers are currently offering amazing sales on wigs, which really can make or break a Halloween costume. Needless to say, the timing is ideal and certainly not coincidental. Especially if you're anything like me and are still shopping for Halloween costumes right up to October 31. 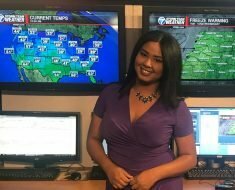 But with all these wigs on sale, it's easy to find just about any color or length, giving you tons of freedom and a strong foundation on which to build the perfect costume. And the best part? You can enjoy more than 60 percent off select styles. 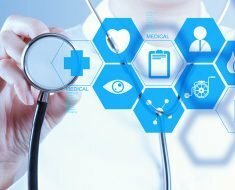 Be sure to keep an eye out for on-site codes that offer additional savings. 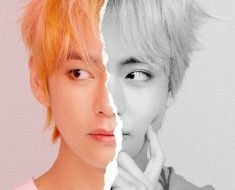 Jump on these deals ASAP — with looks like Elsa, Harley Quinn, Poison Ivy, and Daenerys Targaryen, these wigs won't last long…and neither will the sales. 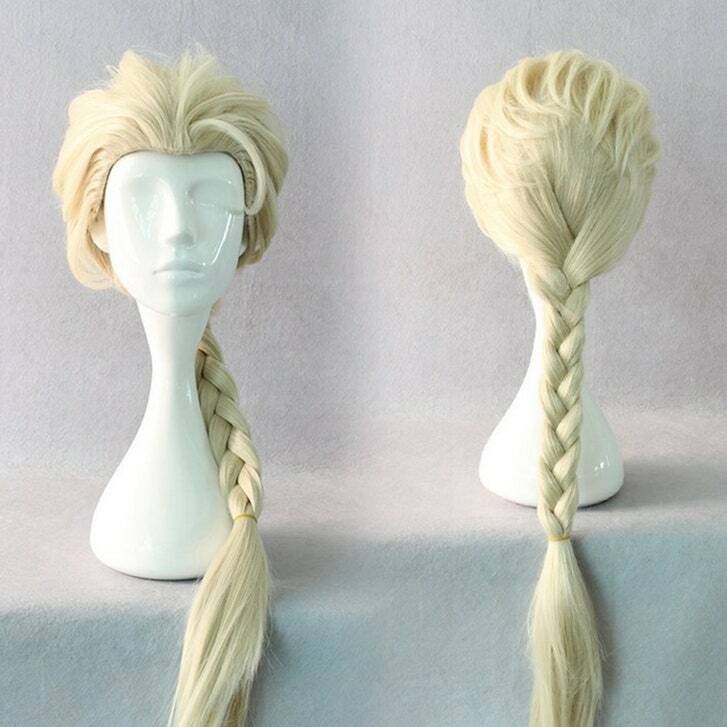 Complete with a double braid, this blonde Daenerys Targaryen wig is made from natural-looking synthetic hair and is 28 inches in length. Thanks to its capless design, it's breathable and comfortable enough for all-night wear. 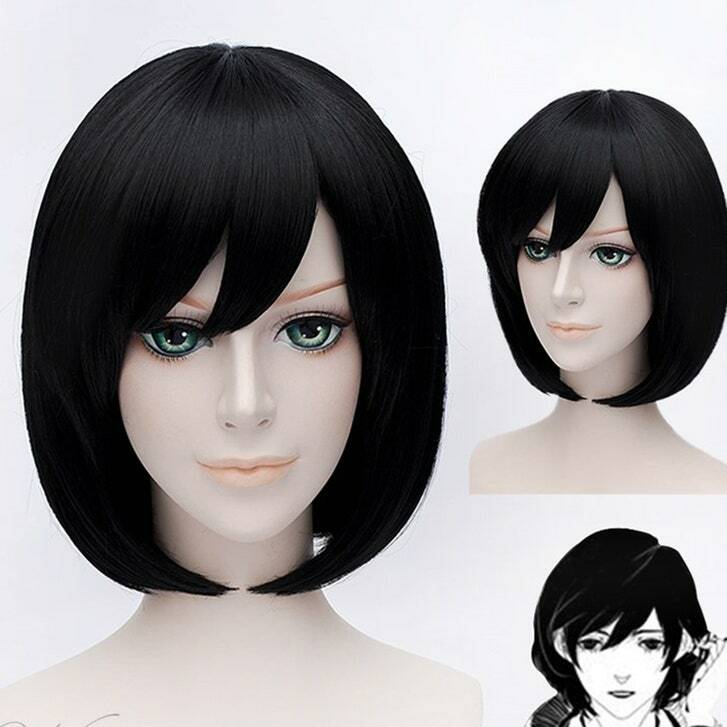 Bring out your inner Tina Belcher, Mia Wallace, or Knives Chau with this adorable black bob wig. 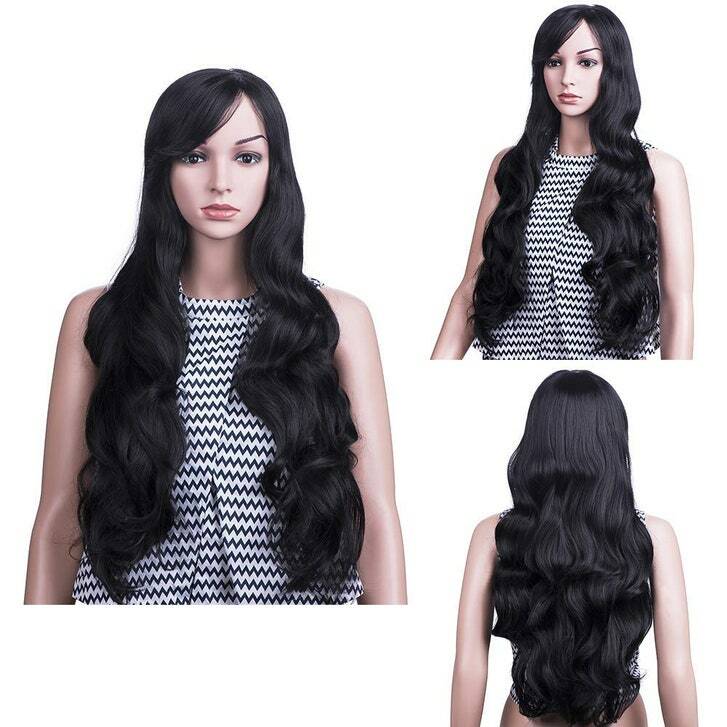 It features 12 inches of silky, straight hair, and even though it's synthetic, it doesn't look it. 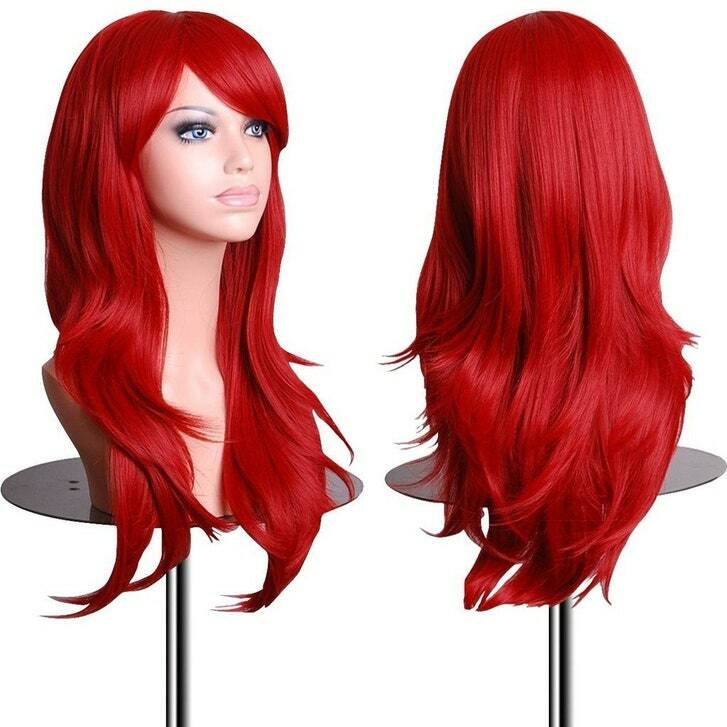 Besides being one of the most affordable picks, this EmaxDesign long red wig is also a number one best-seller with hundreds of five-star reviews. It's great for an Ariel, Jessica Rabbit, or Poison Ivy costume, and past buyers say it "fit perfectly and stayed in place all night." 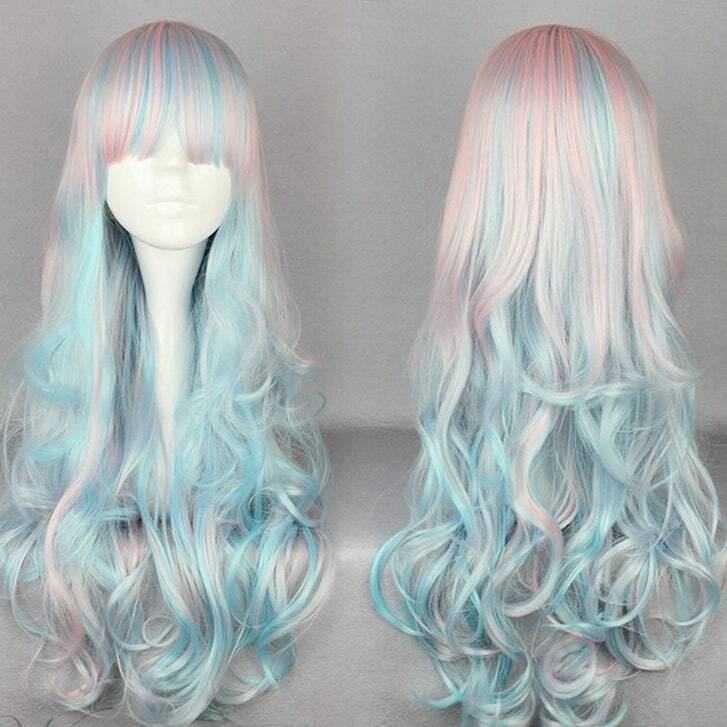 Long, loose waves and cotton-candy pastels — there's little not to love about this rainbow sherbet wig. It's denser than most other options, so no matter how you choose to style it, it'll still look full and voluminous. Mystical unicorn, anyone? 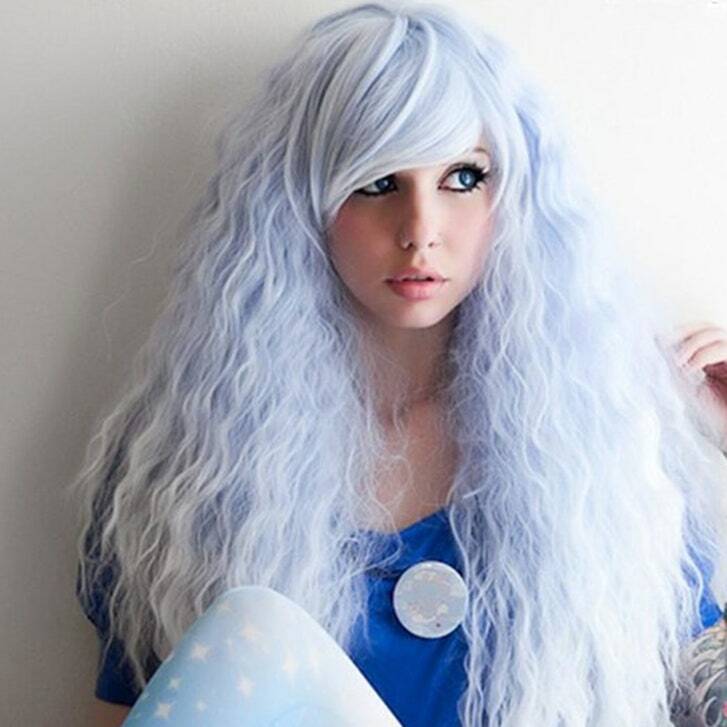 Light blue fades to white with this ombré Rhapsody Sax Fade wig. It features a unique crimped texture and realistic-looking bangs. Needless to say, reviewers can't stop raving about it: "I'm in love… Excellent quality, super soft fibers, NO tangles, and very thick. Wore it right out of the box." Going retro? This pin-up wig is just the thing for a throwback to another era, thanks to its straight-cut bangs and voluminous pin curls. It even comes in five different colors: auburn, brown, blonde, red, and white. 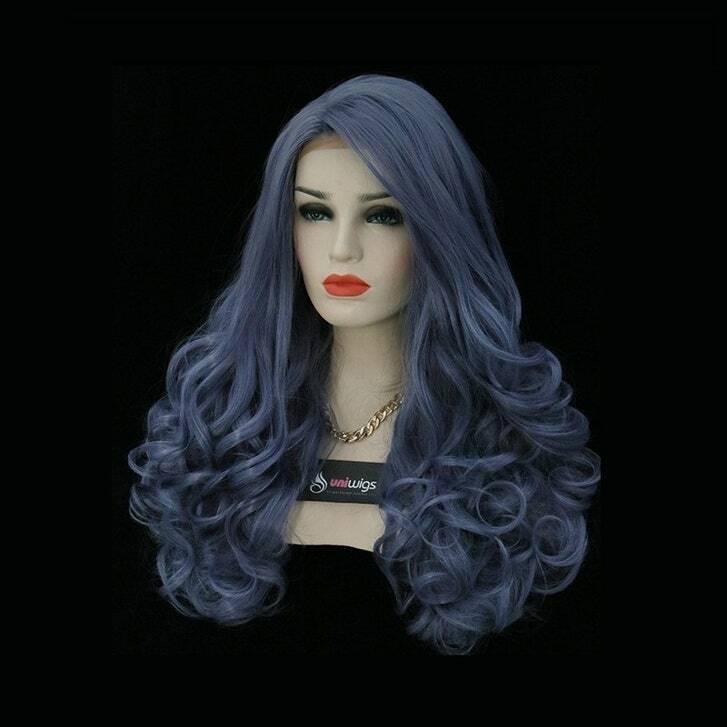 Dark and mystical with a hint of whimsy, the Luna in denim blue wig completes any supernatural costume, including witches, vampires, gypsies, or fallen angels. Its durable strands are heat-friendly and it even comes with a cap and comb. "Wore it for [a] party and people kept asking me when I colored my hair," says one reviewer. Harley Quinn is one of the hottest costumes of the year, but it's also one of the easiest. 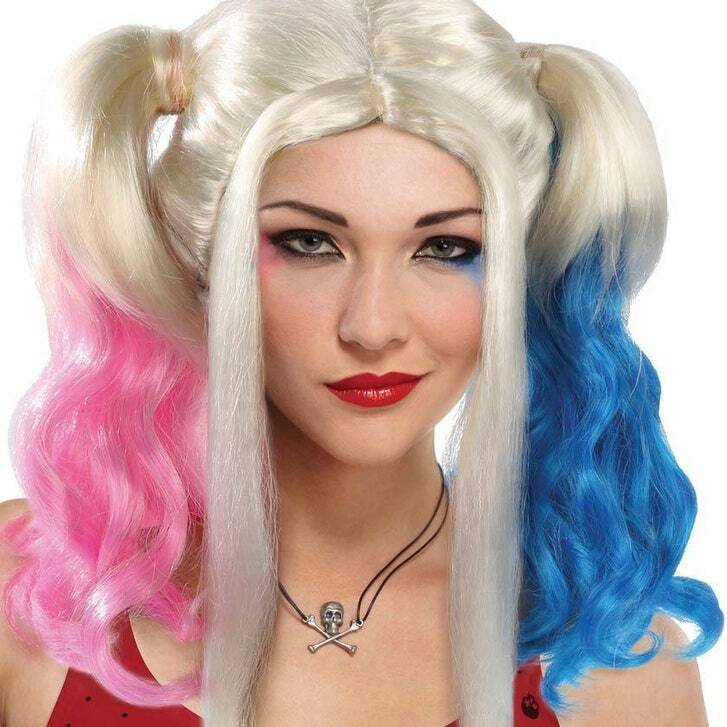 Some short-shorts, a baseball tee, a pair of stockings, and this multi-colored Morris Costumes harley wig, and you're set for any party. Let's be real: The Frozen obsession is not over. 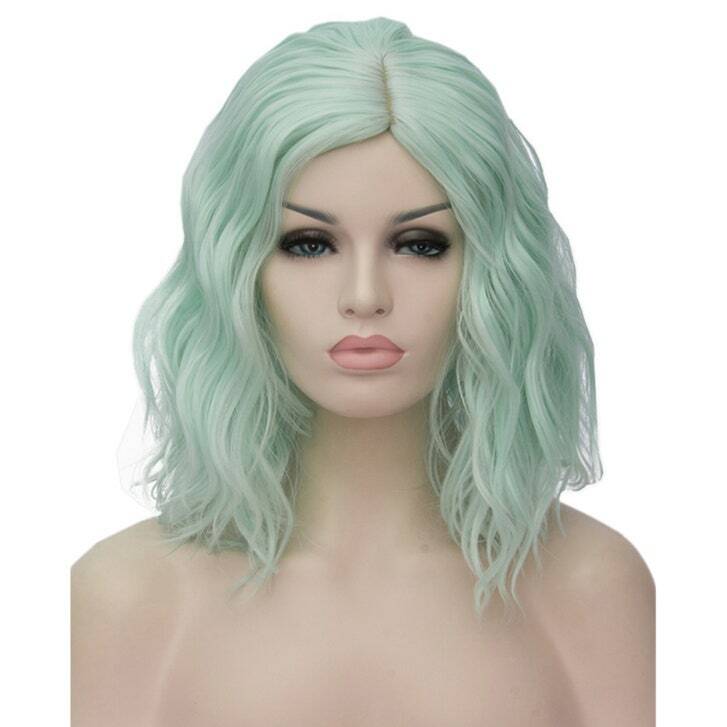 This gorgeous Elsa wig is currently on sale for 39 percent off, so don't let it go. It comes already braided, but feel free to style it to look like Rapunzel, Regina George, Taylor Swift, Cersei Lannister, or Elsa's updo from the beginning of the movie. 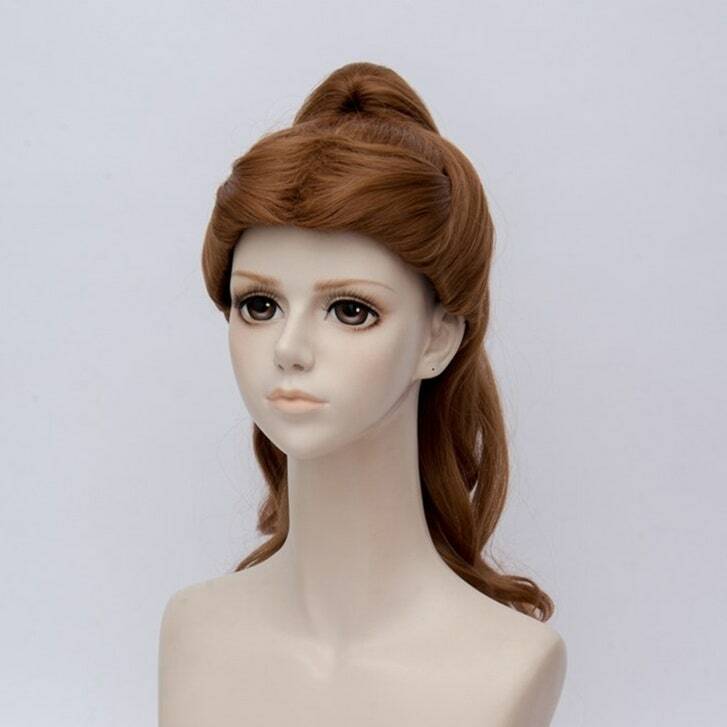 This Beauty and the Beast Belle wig is styled into an elegant half-up knot, but since it's made from quality, heat-resistant fibers, you could technically style it any way you wanted. It's also soft, breathable, and adjustable — the interior hooks help you find the best possible fit, so no pins or tape required. 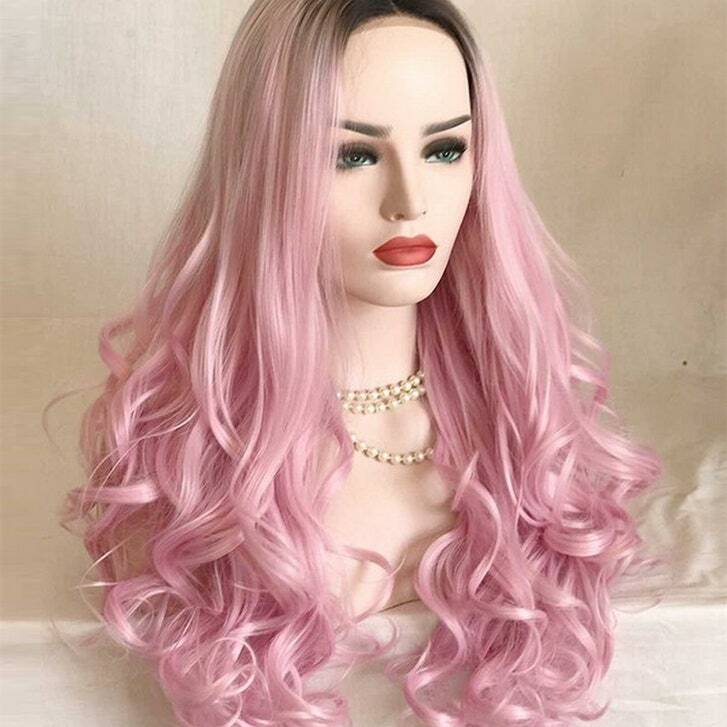 Reviewers are "blown away" by this bubblegum-pink wig, saying that it's "soft," "silky," and "looks just like the picture." They also say it's extremely easy to wear and style, and thanks to the lace-front cap, it actually looks real. Thanks to its whimsical seafoam color, this pick offers a unique take on a mermaid or Katy Perry costume. The synthetic hair is sewn into a lightweight cap, and it's even durable enough to endure perming or dyeing. 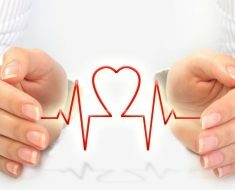 The best news? It's 61 percent off right now.